This Sunday’s gospel is a collection of four parables, teaching us about the kingdom of heaven. Be content to choose one and remain with it. To ensure that your meditation remains down to earth, you must clarify what for you is “the kingdom of heaven”. It is a biblical expression which means “what happens when God is really king,” and it includes his being king of an individual as well as of a community. You might translate it as “growing spiritually” or “getting closer to God.” Follow the movement of the teaching: don’t start by trying to understand what “the kingdom” means; start with the parable and let it teach you about the kingdom. And let the details of the parable speak to you so that you can enter into it. The first two parables – verse 44, and verses 45 and 46 – appear to be similar, but if you read them carefully, you will find that they are actually quite different. The third parable – verses 47 to 50 – is different from the others in that an interpretation is added to it in verses 49 and 50. You need not, however, tie yourself down to this interpretation, as the parable can stand by itself. The final parable, in verses 51 and 52, is different again in that it represents the moment when someone – in this case a wise person – becomes a disciple of the kingdom. – great people like Nelson Mandela. They have developed an extraordinary serenity in facing their problems. – meeting someone we knew we could trust. more precious than the one he had just bought. that we were willing to go off and sell everything we owned and buy it. Lord, our societies are floundering because we equate means and ends. in order to buy them. wanting to make sure that we have the purest intentions. that they will simply throw back into the sea. but eventually we realize that they are of no importance at all. and throwing away those that are of no use. Lord, we pray for the leaders of nations. new things as well as old. 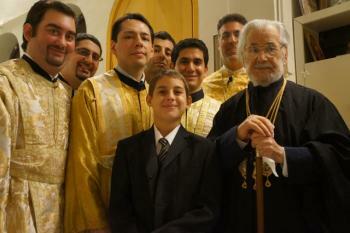 Helping the Patriarch make good liturgy. When we gather here each Sunday we are not simple a scattering of individuals, but a family who are brothers and sisters in Christ Jesus. He has called each of us, and transformed us from being isolated individuals into being a community: his body. Now as that community he wants us to gather about his table and share in his one loaf and one cup. 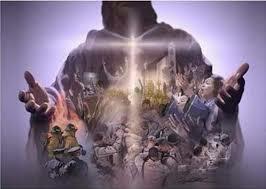 By doing this he is sharing his life with us, and we are showing our willingness to share our lives with one another. 1. How do we learn to be Christians? 2. We learn to be Christians by long periods of apprenticeship: working in groups at being the presence of Jesus in our ways of thinking, playing, working, and living. Just as you can only learn to be a pilgrim by setting out with a group of pil­grims, so you can only learn how to move on the pilgrimage of life by travelling and acting with other Christians. 3. The kingdom is the group of people; and each of us has to see working with the group as a treasure we desire to own. Learning to be a Christian involves recognising that working as part of the group must have priority over our tendency to wander off to work as isolated individuals. 4. Take our gathering here today. We learn to pray together with one voice as a priestly people. We commit ourselves to working for peace. We learn to share our talents. We learn to share our joys and sorrows. Contrast that with spiritualistic individualism. This is the notion that I do not have to join with others to pray, I can pray on my own, I can be spiritual on my own. Interesting sentiments that are true as far as they go – but they do not go very far. Jesus did not come with to sell ideas to individuals, but to form a community. We can only learn to pray as that commu­nity by praying with that community. Jesus did not invent a set of rituals for several individuals, but wanted his people to have the ethos of sharing among themselves. Indeed, the very heart of his community is mirrored in the sharing of a family around the meal table. 5. If I want to learn to be a Christian, then I must commit myself to gathering with the group, to praying with the group, to sharing my talents and resources with the group, and collect­ively we must share them with the poor. 7. Discovering that I can become truly the person God wishes me to be is a pearl of great price, but that in turn demands that we learn to live and work in loving communities. Such communities of love mirror within the creation the community of love that is the Father, the Son, and the Spirit. It is not fashionable to talk about hell nowadays. Many people no longer believe in the reality of hell. Some people also deny the reality of heaven, arguing that there is nothing after life on this earth. Yet, according to the scriptures, the ultimate destiny of each human being will be either heaven or hell. This is a fundamental teaching of Christianity. It is erroneous to presume, as many people do, that God will bring all people to heaven anyway, regardless of how they have lived, because the Creator’s love and mercy have no limits — although, according to Saint Paul, God wants everyone to be saved (see 1 Tim 2:4). 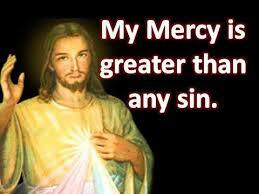 God’s love is indeed unconditional and his mercy is endless. But God gives each person the gift of free will and always respects that freedom. It is naïve to assume that our conscious decisions and freely-chosen actions do not have consequences. In his preaching, Jesus was definite about the consequences of how we live on this earth. He taught that at the end of time there will be judgement when the angels will separate the wicked from the just. The wicked will then be thrown ‘into the blazing furnace where there will be weeping and grinding of teeth’ (Mt 13:50). They will be alienated from God forever, not because of God’s harsh judgement but rather because of the self- imposed judgement of their sinful attitudes and lifestyles. There is a connection between how we live in this world and our ultimate destiny in the next life. The two are undeniably linked. During our earthly lives we have many opportunities to learn how to know and love God. God is the Just Judge and Merciful Father who desires that we journey towards our true home in heaven by freely choosing to avoid sin and being faithful to the gospel. If we knowingly and freely choose sinfulness and evil throughout our lives, without ever repenting, our eternal destiny will be alienation from God. We sin when we refuse to respond to God’s loving presence in our lives and in our world. We also sin when we choose estrangement from God. While God always invites us to return to his loving presence, he will not force us to do so. How we choose to live in this world has a bearing on the next life. 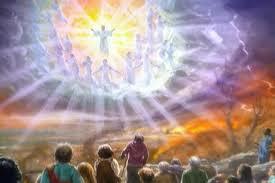 We cannot be with God for ever in heaven unless we are with him during this earthly life. We prepare for the next life — a life enjoying the eternal happiness of heaven — by living this life as fully as possible in the presence of God. We are challenged to be faithful to Christ’s teaching and example, keeping his commandments. The Church teaches us that hell exists. But it has never declared that there is anyone in there. Instead, it offers us access to God’s life through its preaching of the word of God and the sacraments. So will it be heaven or will it be hell for eternity? We must choose. And you’re final choice is ? Jesus takes the ordinary for his story asking what you would re­ally want never to lose/ asking what your treasure is. Is it money, reputation, locality? I gave up a better job but had time for the family and for love’; words of a young father. We know that par­ents give up a lot for their children; as do grandparents/ godpar­ents and others. As people we look for what’s most important in life: the love of God; deep and enduring friendships/ success after hard work in school/ commitment to the poor – what can­not be lost and what is worth sacrificing other good things for. Life is a mixture of the good and the bad. There is an old Dub­lin saying: ‘There’s good in the worst of us and bad in the best of us. We work for God with the strengths and weaknesses of all we work with. God sows the seed of the gospel in good and bad soil; it bears fruit in its own way wherever it is sown. The treasure is in our people. So much hidden generosity comes out at bad times – floods, power cuts, illness and death. We need al­ways to find the hidden treasures in our own people and even in our history. The kingdom of God is close, near and is within us. Think of what you really value in life. Take time. Give thanks to God for what brings deep joy in life. The first two parables in today’s Gospel – the parables of the buried treasure and the pearl – are lessons in the total attachmentto Christ and detachment from the things of the world demanded of the disciple in order to make the reign of God a reality. The parable of the dragnet is similar in theme to last week’s parable of the wheat and weeds. Again, Matthew makes the point that the kingdom of God is neither an instant happening nor a static event, but a dynamic movement toward completion and fulfillment which Jesus set into motion. The “treasures” and “pearls” of lasting value are the things of God: the love of family and friends, the support of community, the sense of fulfillment from serving and giving for the sake of others. In order to attain such treasure, we must take the risk of the speculator and “sell off” our own interests, ambitions and agendas in order to free ourselves to embrace the lasting values of the compassion, love and reconciliation of God. The Gospel “pearl” of great price transcends logic, efficiency, and self-interest; and the Gospel “treasure” is the joy and wholeness one experiences in imitating the humble compassion and forgiveness of Christ. In the parable of the dragnet, Jesus calls us to embrace the vision of God that seeks out the good and nurturing, the right and just in all things amid the “junk” of life. In her book My Grandfather’s Blessings: Stories of Strength, Refuge and Belonging, physician Rachel Naomi Remen tells of the many unusual gifts she received from her beloved grandfather, an Orthodox rabbi and scholar. Once, when she was four, her grandfather brought her a paper cup. She expected to find something special inside. It was full of dirt. Rachel was not allowed to play with dirt. Disappointed, she told her grandfather that she wasn’t allowed to play with dirt. Her grandfather smiled. He took her little teapot from her doll’s tea set and took little Rachel to the kitchen where it filled it with water. He put the little cup on a windowsill in her room and handed her the teapot. “If you promise to put some water in this cup every day, something may happen,” he told her. This made little sense to a four-year-old, but little Rachel promised. “Every day,” he repeated. At first, Rachel did not mind pouring water into the cup, but as the days went on and nothing happened, it became harder and harder to remember to do it. After a week, she asked her grandfather if it was time to stop yet. Grandfather shook his head. “Every day,” he repeated. The second week it became even harder, but Grandfather held her to her promise: “Every day.” Sometimes she would only remember about the water after she went to bed and would have to get up in the middle of the night and water it in the dark. But, in the end, Rachel did not miss a single day of watering. Then, one morning three weeks later, there were two little green leaves that had not been there the night before. Rachel was completely astonished. She could not wait to tell her grandfather, certain that he would be as surprised as she was -- but, of course, he wasn’t. Carefully he explained to his beloved granddaughter that life is everywhere, hidden in the most ordinary and unlikely places. Faith is the ability to see the potential in the smallest of things and the courage and perseverance to unlock that potential. Humanity’s dreams of peace, community and justice will be realized, first, in the everyday acts of such goodness of each one of us. Such is “mustard seed” faith: that, from the smallest and humblest acts of justice, kindness and compassion, the kingdom of God will take root. Today’s first reading from the Book of Wisdom reports God’s apparition to King Solomon in a dream at night while the newly appointed King had come to the sanctuary in Gibeon to offer sacrifices. The Lord starts a dialogue with a wide-open proposal to the king: “Ask what I should give you.” What a unique opportunity to get whatever he wants! Solomon does not miss his chance. But his prayer and request is surprising. Solomon starts by praising God for his great love for his father David; he then confesses his unworthiness and inadequacy in governing his people and finally asks for the gift of an understanding heart to discern what is right and wrong. God heard his prayer and granted him his request. On their golden anniversary, a couple were kept busy all day with the celebrations and the crowds of relatives and friends who dropped in to congratulate them. So they were grateful when, towards evening, they were able to be alone on the porch, watching the sunset and relaxing after a tiring day. The old man fondly gazed at his wife and said, “Agatha, I am proud of you.” “What was that you said? asked the old lady. “You know I am hard of hearing. Say it louder.” The man repeated, “Agatha,” I said, “I am proud of you.” “That is alright,” she replied with a dismissive gesture, “I am tired of you too.” Alas, we don’t hear, or try to understand what the other is saying. –What would happen today if the leaders of the world had a divinely inspired wise and understanding heart? Wouldn’t it be nice if we were to pray for wisdom and insight to understand the true meaning of our relationships? In the Sunday Gospel Jesus gives us a wonderful example of God’s generosity. Human beings are always in search of some or the other treasure in life. For some it is wealth, for others it is a good name, and for still others it is a life-giving relationship. All this is done with a view of experiencing a deep sense of fulfillment and satisfaction. Today’s reading proposes three things which one should yearn and long for in life. Matthew compares God’s kingdom to which we are all invited, to a treasure hidden in a field. Someone finds this treasure and sells his possessions in order to acquire that treasure. God’s kingdom is also like a merchant who comes across a pearl of great value and sells everything in order to buy the pearl. 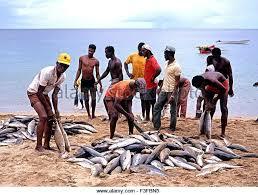 Jesus gives a third example: God’s kingdom is like a net cast into the sea, catching fish of every kind. Some are good others are not. Only at end-time will they be separated. Perhaps we could ask, have we found anything that we treasure in our life? Is there something that we value in our faith? Is my faith valuable? Would losing my faith make a difference? We all have experienced days when we are upset and distraught because we have lost something. We cannot function because something is missing in our lives. A wise and discerning person will make wise choices in life so that later on we have no regrets. Like Solomon we need to ask God for the gift of wisdom to help us make life’s choices. Dietrich Bonhoeffer was a young Protestant professor who resisted Hitler and his Nazi movement. His book, ‘The cost of Discipleship’ speaks of living for and witnessing to Christ in a difficult political situation. The Nazis executed Bonhoeffer for his faith. Truly his discipleship cost him his life. Since we are talking about gold, the Hindu of June 29 2005, carried the story of a goldsmith’s son, 22 year-old Deeraj Gurunath Revinkar from Belgaum, who left his home on May 24th by cycle and arrived in Srinagar on June 28th. He covered 3,350 kms on cycle to spread the message, “Polio Free, Pollution Free India” What a golden venture! Christianity, as well as other religions, are proud of many missionaries and martyrs who have given their all to go after that pearl of great price or that treasure in the field. After an astounding solo performance capped by a standing ovation, world famous violinist, Fritz Kreisler, was approached by an admirer who said, “I’d sacrifice my whole lifetime to play as beautifully as you do!” Kreisler replied, “I’ve already done that!” Would you give anything less than that? In his book ‘Life after Death’ Raymond Moody says that when ‘the Being of light’ (God) interviews you after your death, He will ask you two questions. The first, what wisdom have you gained from this life? The second, how have you expanded your capacity to love? Hey! There is a final exam! There are only two questions, and it is a take home test! In the education field there is nobody teaching for this real test! There are very few classes in any school or university called extracting wisdom from your experience or learning how to love unconditionally. Remember we inflict pain on ourselves and also on others when we withhold our love and acceptance. Strive to let people be who they are, believe what they believe, and pursue happiness in their own unique ways. This will remove a lot of stress for yourself, your family and friends. Keep going back to those questions very often: how can I be more loving in this situation? And what wisdom can I learn from this experience?” Your answer to these questions will change your life more than you ever imagined. One of the best things I ever heard about understanding was this: Seek first to understand then to be understood. You know the opposite of understanding is misunderstanding or failure to understand correctly. Failure to understand correctly can ruin our lives. I believe we human beings have a perception problem. We often think we have the proper perspective on an issue when in fact we are way off. There's a charming story that Thomas Wheeler, CEO of the Massachusetts Mutual Life Insurance Company, tells on himself: He and his wife were driving along an interstate highway when he noticed that their car was low on gas. Wheeler got off the highway at the next exit and soon found a rundown gas station with just one gas pump. He asked the lone attendant to fill the tank and check the oil; then went for a little walk around the station to stretch his legs. As he was returning to the car, he noticed that the attendant and his wife were engaged in an animated conversation. The conversation stopped as he paid the attendant. But as he was getting back into the car, he saw the attendant wave and heard him say, "It was great talking to you." As they drove out of the station, Wheeler asked his wife if she knew the man. She readily admitted she did. They had gone to high school together and had dated steadily for about a year. "Boy, were you lucky that I came along," bragged Wheeler. "If you had married him, you'd be the wife of a gas station attendant instead of the wife of a chief executive officer." By the end of July the bounty of a backyard summer garden finally starts to really produce. The earlier, "lighter" crops - peas, lettuces, baby carrots - give way to the rich ripe produce of high summer. Tomatoes, cucumbers, cherries, blueberries, raspberries, corn on the cob, string beans, radishes, spinach - all the stuff that makes for great "sides" at every summer barbecue. Backyard farmers revel in their "crops" because every vegetable is grown with TLC. Yet with the cost of plants, containers, potting soils, fertilizers, pest control supplies, not to mention water - every veggie probably costs at least four times as much as its "Mega-Mart" cousin. It does not matter. Back yard gardeners are focused on the entire process, on the whole life-cycle of the various vegetables they are growing. The "bottom line," the "cost" of the crop, is NOT the "bottom line." It is hard for a culture bottoming out on the "bottom line" to get this. For a gardener the ultimate reward is the home grown, home harvested, nurtured-from-a-seedling-to-a-first-course experience. And that is beyond any calculable "bottom line. That event is "priceless." Jesus offered example after example of "the kingdom of God." Our Scripture reading this morning offers a few samples. "The kingdom of heaven is like..." In piling "like" upon "like" Jesus stacked story upon story in showcasing how "priceless" this new possibility was for persons who could grasp its truth. Jesus communicated to the people at the most basic level he could. Hence these "similitudes." In Tennyson's tale of the Holy Grail, a knight searches high and low for that which lasts for eternity and gives ultimate meaning. He comes upon a singing brook, with deep meadows and wonderful fruit trees. But even as he ate the fruit, it turned to dust, for no feeding of the flesh could still his deepest hunger. Riding on, he saw a home, its opened door a promised welcome and in the door there was a beautiful woman, her eyes innocent and kind. Surely the love of a woman and the sweet shelter of home are my heart's desire, reasoned the knight; "But when I touched her, Lo! She too, fell into dust and nothing, and the house became no better than a broken shed." His soul still craving, he traveled on. He found a warrior clad in golden armor. But he also turned to dust. Then he came upon a city that sat upon a hill. Surely civic service and the affection of his fellow men will mean his journey's end. But when he reached the crest, there was neither city, man, nor any voice, so that he cried in grief. "Lo, if I find the Holy Grail itself, and touch it, it will crumble into dust." Are you tired of chasing pretty rainbows? Are you tired of spinning round and round? Gather up all the broken dreams of your life and at the feet of Jesus, lay them down. Find the pearl of great price. J. Howard Olds, Faith Breaks, ChristianGlobe Networks, Inc.
Nancy Cornice remembers as a child hearing the tip-tap of a cane on the sidewalk. It was an old man "bent from the years " his rough, knotted hand purposefully clutching a cane." But this old man had a peculiar custom as he roamed the streets of this small town. When this gentleman saw a child he would stop, reach into his pocket and give the child a picture of Christ. "He would thrust it into the child's hand and continue on his way, never speaking a word." What this gentleman did certainly doesn't seem like a big deal. However, this small act of kindness made a world of difference to Nancy. Over 40 years later, she tells us, she still has the picture he gave her. The picture is of Jesus surrounded by a flock of sheep, with a river running through the middle of the picture. On the back of the card in a shaky hand is written, "Psalm 23." It wasn't until Nancy was an adult that she realized what this man was doing. In his own way he was planting tiny seeds of faith in the children on his street. It worked for Nancy. "His faithful commitment," she says, "helped fashion a stone in the foundation of my own faith." Whoever would have thought that giving a child a picture of Jesus would eventually lead that child to faith? Whoever would have thought that a tiny, little seed would produce such a big shrub? For that matter whoever would have thought that the Messiah would come from such a small, unlikely town as Nazareth? It is often from small, seemingly inconsequential beginnings that great good emerges. "The kingdom of God within us is a treasure indeed, but a treasure hid from the world, and from the most wise and prudent in it. He that finds this treasure, (perhaps when he thought it far from him,) hides it deep in his heart, and gives up all other happiness for it." In our text, the word kainos is used. While it can mean, something recent; in this context, it may also mean "fresh," in contrast to old and stale, as in this Jewish story (A Treasury of Jewish Folklore: Stories, Traditions, Legends, Humor, Wisdom and Folk Songs of the Jewish People Edited by Nathan Ausubel Copyright, 1948, Crown Publishers, Inc., New York). Usually the orthodox rabbis of Europe boasted distinguished rabbinical genealogies, but Rabbi Yechiel of Ostrowce was an exception. He was the son of a simple baker and he inherited some of the forthright qualities of a man of the people. Once, when a number of rabbis had gathered at some festivity, each began to boast of his eminent rabbinical ancestors. When Rabbi Yechiel's turn came, he replied gravely, "In my family, I'm the first eminent ancestor." His colleagues were shocked by this piece of impudence, but said nothing. Immediately after, the rabbis began to expound Torah. Each one was asked to hold forth on a text culled from the sayings of one of his distinguished rabbinical ancestors. One after another the rabbis delivered their learned dissertations. At last it came time for Rabbi Yechiel to say something. He arose and said, "My masters, my father was a baker. He taught me that only fresh bread was appetizing and that I must avoid the stale. This can also apply to learning." The mustard seed can get stuck under the tip of a fingernail. It is so small that you could grasp it in your palm and not feel it. Yet, from the smallest seed grows a shrub as large as a tree; it is not just tall but is also wide. It was known as the poor man's fence providing shade and protection at no cost. It kept predators out and children in. The mustard plant was thick providing nests for birds who brightened the yard with music and color while keeping the insect population under control. Comfort, protection, and safety for the family. Available to the poorest of the poor, a reward far greater than the investment. As a kid, my favorite book was Robert Louis Stevenson's "Treasure Island." I read "Treasure Island" a dozen times. Of course, I identified with Jim, the kid in the story. But thinking back, I really loved the adults in "Treasure Island" because I didn't know any adults like the ones who peopled Treasure Island, grownups who staked all, risked everything, for nothing more than some map scrawled on a piece of paper. The adults I knew stayed home, kept their heads down, went to work in the morning and then they came back again in the evening. But in "Treasure Island," they risked, they lied if needed, and they had great lives and exciting deaths. I am haunted at what somebody said at my graduation. "Remember one thing as you go forth from school into life: Even if you win the rat race, remember, you're still a rat." He was telling the truth. There is this relentless, virtually irresistible tendency of life to transmute from adventure into tame predictability. One day you're an angry, young thing, ready to grab the world by the tail and twist, dying to set the woods on fire. And the next day you're some old guy, slouched in an easy chair, complaining about how the kids are ruining the world. One day you're a kid, excited about the prospect of leaving home, abandoning your parents, and going to college where you can think as you like, and they can't do anything about it. And then the next day you're just a college student, going through the motions, trying to accumulate enough hours to graduate. Jesus says a kingdom belongs to those with the guts to stake it all on the treasure. The Roman naturalist, Pliny the Elder, who died in 79AD while investigating the eruption of Mount Vesuvius, writes: Mustard grows entirely wild, though it is improved by being transplanted: But on the other hand when it has once been sown it is scarcely possible to get the place free of it, as the seed when it falls germinates at once. Pliny describes in great detail the medicinal uses of the mustard plant, but it is important to remember that it was then, as it is now, a weed. It is significant that Jesus chooses a seed that when easily germinated tends to take over where it is not wanted, that can quickly get out of control and that attracts birds into a cultivated area, where they are least desired. There is a story from the Desert Fathers about a young monk who asked one of the old men of the desert why it is that so many people came out to the desert to seek God and yet most of them gave up after a short time and returned to their lives in the city. The old monk told him, "Last evening my dog saw a rabbit running for cover among the bushes of the desert and he began to chase the rabbit, barking loudly. Soon other dogs joined in the chase, barking and running. They ran a great distance and alerted many other dogs. Soon the wilderness was echoing the sounds of their pursuit but the chase went on into the night. After a little while, many of the dogs grew tired and dropped out. A few chased the rabbit until the night was nearly spent. By morning, only my dog continued the hunt. "Do you understand," the old man said, "what I have told you?" "No," replied the young monk, "please tell me father." "It is simple," said the desert father, "my dog saw the rabbit." 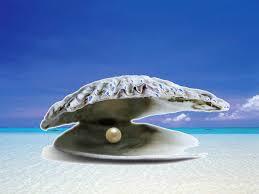 Jesus told a parable about a man who one day in the market place saw the pearl of great price. The merchant understood at once the value of the commodity before him and he sacrificed everything to obtain it. There is an ancient legend about the monk who found a precious stone, a precious jewel. A short time later, the monk met a traveler, who said he was hungry and asked the monk if he would share some of his provisions. When the monk opened his bag, the traveler saw the precious stone and, on an impulse, asked the monk if he could have it. Amazingly, the monk gave the traveler the stone. The Atlanta Journal-Constitution published the story of the original “Star of David Sapphire” in its May 17, 1987 edition. A gemstone collector named Rob Cutshaw owned a little roadside shop outside Andrews, North Carolina. Like many in the trade, he hunted for precious stones, then sold them to collectors or jewelry-makers. Although he was not an expert, he knew enough about valuable rocks to decide which to pick up and sell. the work, it did not always pay the bills. Hence, occasionally he had to cut firewood and sell it to add to his income. Twenty years ago, while on a "dig," Rob found a shining blue rock he described as "purdy and big." He tried unsuccessfully to sell the specimen, and, according to the story in the journal, kept the rock under his bed or in his closet. At last he sold it for less than $500 to pay his power bill. Now known as "The Star of David Sapphire,” it weighs nearly a pound and is worth three million dollars. In today’s gospel, Jesus challenges us to recognize the real worth of the most valuable gemstone given to mankind, namely Jesus Christ who gives us our eternal salvation. Dr. Williamson was a geologist doing some archaeological excavation work in Tanzania. One day he found himself driving in a deserted area, slipping and sliding along a rain-soaked road. Suddenly his four-wheel drive vehicle sank up to its axles in the mud and got stuck. Pulling out his shovel, Dr. Williamson began the unpleasant task of digging the car out of a mud hole. He had been at it for a while when his shovel uncovered something strange. It was a pinkish stone of some sort. Being a geologist and naturally curious about rock formations, he picked it up and wiped away the mud. The more mud he removed, the more excited he became, and he could hardly believe what he saw. When the stone was finally clean, Dr. Williamson was beside himself with joy. He had discovered the diamond which became known as the famous Pink Diamond of Tanzania and is now set in the royal scepter of Great Britain. In today’s two parables, Jesus tells of two other men who unexpectedly discovered treasures. 3. My treasure is apple pie. $100 bills, in case you missed it! 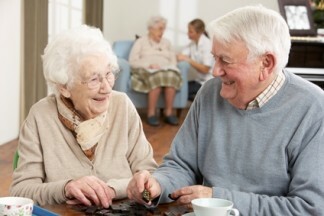 Bob had been trying to help his mother for years and the old woman had failed to realize the treasure she was given every week. "Life is unfair. I lost my car keys at a ball game and never found them. I lost my sunglasses at the beach and never found them. I lost my socks in the washing machine and never found them. I lost three pounds on a diet -- I found them and five more." This is a true story - no matter how much like a fairy tale it may sound. A totally unsuspecting man literally stumbled upon the world's largest diamond - all 3,106 carats of it. It happened in Premier Mine #2, near Pretoria, South Africa, in early 1905. This amazing stone was then sent in an ordinary cardboard box to England. One hundred and five stones were cut from this diamond, known as the Cullinan diamond. Two of the largest stones which it produced, the 530-carat Star of Africa and the 317-carat Cullinan II, are mounted on the Scepter with the Cross of the British King/Queen as royal crown jewels. Cullinan I is the second largest polished gem and Culli nan II is the fourth largest polished diamond in the world. [Isaac Asimov, Book of Facts, (New York: Wings Books, 1979), pp. 16-17.] In today’s gospel Jesus compares the kingdom of God with such a treasure. 9. "No price too high." A story is told of a wealthy socialite who traveled to Europe with several friends. Her husband stayed home and played the stock market. While in Paris she found a fur coat that was the most beautiful she had ever seen. She sent a telegram to her husband that said, "Have found the perfect coat for only $50,000. What do you think?" He responded immediately with a telegram saying, "No, price too high." Imagine his surprise when she returned home with that $50,000 coat. The angry husband said, "Didn't you get my telegram?" "Yes," she said, "and here it is." The husband looked at that telegram which said, without punctuation, "NO PRICE TOO HIGH." He forgot to put a comma after NO. That's the way it is with life in the Kingdom. When through Jesus you catch a glimpse of how wonderful life is in the Kingdom, no price is too high to pay for it. In 1885, a man named J.B Ward began selling a pamphlet which claimed to contain information about a sizeable treasure trove buried in the present state of Virginia. This wealth allegedly had been amassed by one Thomas Jefferson Beale and his associates, who had traveled in the American West between 1817 and 1823. Beale, it was said, had discovered a vast deposit of gold and silver in a valley "some 250 or 300 miles North of Santa Fe." Beale and his associates, being concerned about theft of their wealth and in need of a secure hiding place, supposedly buried the gold at a site "near Buford’s Tavern" in Bedford county, Virginia. Foreseeing so me type of accident, Beale left coded messages—without a decoding key, which was said to be held elsewhere by a man named Morriss. Beale then departed, never to return. By sheer chance one Mr. Ward came across the papers and attempted to decode them. He claimed to have found the key to one document, the cipher being based on the US Declaration of Independence. He worked on the remaining two for many years. Finding himself unable to accomplish the task, he decided to sell copies of the documents, in the hope that someone else might manage to decode the papers and discover the location of the treasure. Since the publication of the papers in 1885, many treasure hunters have attempted to decode the documents, but have had no success whatsoever. In today’s gospel Jesus challenges us to go in search of the most valuable treasure: namely, the eternal life in the kingdom of heaven. It has been reported that, in his race for the Republican nomination for president of the United States, Mitt Romney spent more than 42 million of his own hard-earned dollars. That’s a lot of money. However, when he dropped out, he still had quite a bit of money left in his personal piggy bank. He hadn’t invested everything he owned in his failed attempt for the nomination. We wonder if he regrets spending so much or, perhaps, he regrets he didn’t spend more. How about you? Is there anything in this world for which you would sell everything you own? I can think of only one thing: the life of someone we love. If one of our children were sick and there was a cure that would cost everything we had, even including our own life, most of us would be willing to give it all up without a moment’s thought. We would give everything we own for the well-being of those we love, but that’s about it. Nothing else that I can think of has that big a hold on us. Yet Jesus said the kingdom of heaven is worth everything we have. Our money. Our time. Our energy. Everything. That’s quite a statement. Everything we own. So, what is this kingdom of heaven or kingdom of God? 13. “You will be both glad and sorry." There is an ancient legend about some men who were on a long journey. They came across a great desert, and rode into a wilderness area. At sundown they came to a river. They got off their horses and knelt down by the river to drink water. Suddenly a voice spoke to them. The voice said, "Fill your pockets up with pebbles from along the river. And tomorrow you will be both glad and sorry." So they did what the voice commanded. They got on their horses and rode away. On through the night they rode. Finally the sun began to peek over the horizon. They stopped and reached into their pockets and there they found diamonds and rubies. They held a treasure in their hands, and they were both glad and sorry. They were glad they had it, but they were sorry because they had not taken more. [T. Cecil Myers, Faith for a Time of Storm (Abingdon Press: New York and Nashville, 1963), p. 91.] The good news for us is we can have all we want of the treasure of His kingdom, all we are willing to take. If you will take that treasure you will learn it is the discovery of a lifetime. 14. Which is more valuable, Harry or the deer?